Central Air Conditioning vs Window AC — Which Is Best? Central Air Conditioning vs Window AC — Which Is Best? Central Air Conditioning vs Window AC — Which Is Best? When is it smarter and cheaper to install whole-house central air conditioning instead of buying several room or window air conditioners? These expert tips outline the advantages of both central AC and room or window air conditioners to help you decide. Is it time to opt for a central air conditioning system, or will room air conditioners or window AC units handle the summer heat? Window air conditioners can do a very good job of cooling down a room or two, and they cost only a fraction of what a central AC unit would cost. But they aren’t central AC. How do you decide when its time to switch from window AC units to central air conditioning? For homeowners who plan to live in the house for several years, central air conditioners are a more popular option, particularly for a home that is equipped with a forced-air heating system. Central air conditioning costs a lot more to install than a couple of window or room AC units. 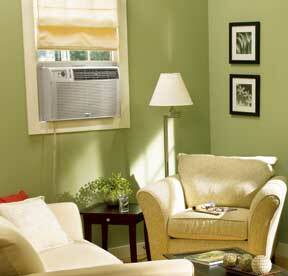 But, unlike window or room units, central AC cools the entire house. It is also more energy-efficient than running several window air conditioners or portable units, is quieter than room air conditioners, is hidden from view, and is an investment that ads to the home’s value. For more about how a central system works, see How Central Air Conditioning Works. Before making a decision, also be sure to check out HomeTips’s information on Heat Pumps, which can be a more affordable means of cooling many homes than central air conditioners. This is the central question. Of course, the answer depends upon many factors, including the size, layout, and complexity of your house as well as the going rate for air conditioning contractors in your area. Of course, you can look at averages, but even these air conditioning cost numbers will vary depending upon who you talk to. According to ImproveNet, the average national cost in 2018 is $4828 whereas HomeAdvisor places the national average at $5335. The only way to get an accurate idea of what it might cost to install AC in YOUR home is to get a few competitive bids from AC contractors. 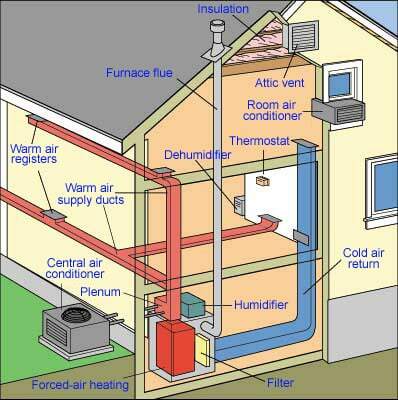 You can get free bids from AC contractors at HomeAdvisor: air conditioning contractors. Do you own your house? If you don’t, you’re stuck with room air conditioners unless you can talk your landlord into installing central AC. Will one or two room AC units do the job? If so, this is probably your best answer because you can get AC working quickly and relatively inexpensively, and your energy bills will be lower than they would be if you were running central air conditioning. Will it take more than two room or window AC units to meet your cooling needs? If so, you’re at the tipping point. The cost of three or more room AC units would make a good down-payment on central air conditioning. And operating three or more room AC units can boost your electric bills to more than the cost of running central AC. Can you budget for central air conditioning? As stated above, bids are free and are necessary to make an informed decision. If your cooling needs call for central AC, you intend to stay in your home for several years, and you can afford the initial cost, it usually makes sense to opt for central AC. If window and room air conditioners will meet your needs, please see Buying the Best Window Air Conditioner or Room AC Unit.